New York Yankees starter Ron Guidry was one of the best pitchers in the late 1970s. He was 25-3 with a 1.74 ERA in the Yankees 1978 championship season. Guidry won at least 11 games in the following five seasons, including 21 victories in 1983. But Yankee fans could be forgiven if they believed Guidry’s best days were behind him after going 10-11 with a career-high 4.51 ERA in 1984. After starting 1-3 in 1985, Guidry returned to his old form with 12 straight wins (he received three no-decisions during the streak). He tossed a pair of complete game shutouts and allowed two runs or fewer in 10 of 15 starts. Guidry also came up big down the stretch. He was 6-1 in September and October as the Yankees fell just short of the AL East Division champion Blue Jays. The 34-year old finished the season 22-6 but lost the AL Cy Young Award to Kansas City’s Bret Saberhagen. The 1985 campaign was Guidry’s last best season. He only won 16 games over the next three seasons before retiring after the 1988 campaign. 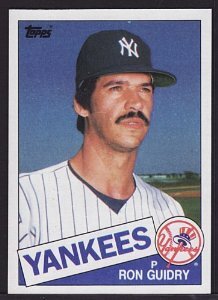 My connection to Ron Guidry: He was the starting pitcher when I attended my first Yankees game on June 29, 1980. Guidry allowed two runs on eight hits in 6.1 innings to help lead New York to a 7-2 win over Cleveland. It was one of the Yankees 103 wins that season. 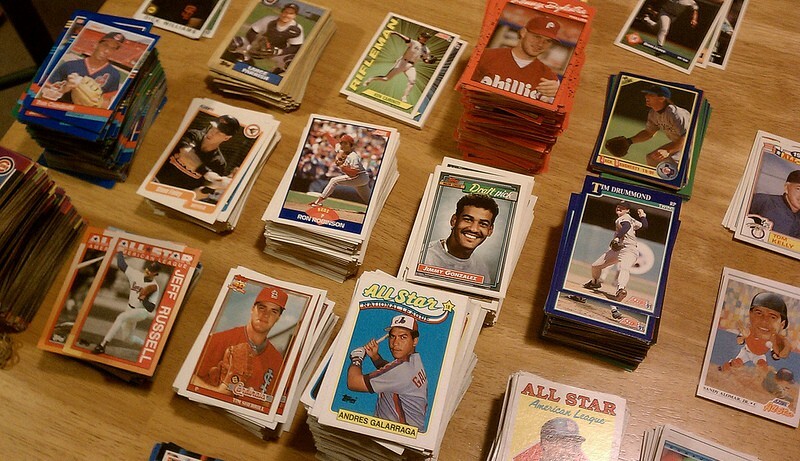 This entry was posted in Uncategorized and tagged New York Yankees on January 19, 2014 by cpwoodley.